base your practice on the best possible evidence of effectiveness? know how to find information relevant to you decision making? be able to tell the difference between stronger and weaker evidence? enable your clients to feel confident they are being served by a well informed professional? If so, then you are working towards being an evidence-based social work practitioner. 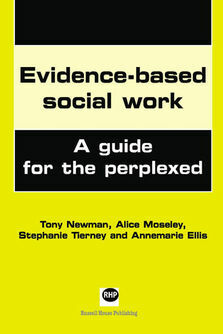 Evidence-Based Social Work is specifically aimed at professionally qualified practitioners and students. It is relevant to all areas of social work practice, and addresses key aspects of the new three-year social work training programme. Many of the procedures and principles discussed will also be of relevance to the broader social care workforce, and to those in allied professions. this resource aimed not only at explaining the what of evidence-based practice, or the why, but also the how. 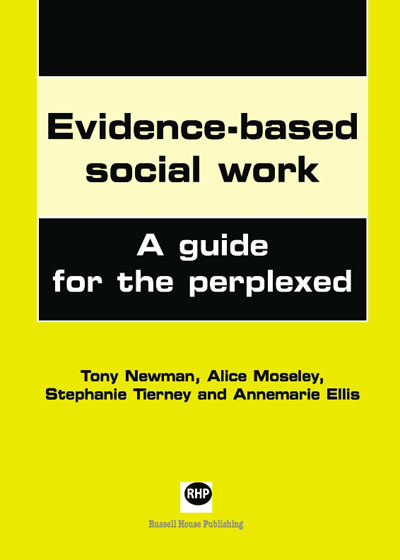 Having read it you should be clearer about what evidence-based practice is, why it is essential to effective and ethical social care, and how you can carry it out on a day to day basis. Qualified social workers, social work students and other social care staff who wish to learn more about evidence-based practice. The principles discussed will also be useful for those working in allied professions.